Providing your birds with both suitable nest sites & nesting materials is essential if you are to encourage your birds to breed successfully. However it may not be necessary if you have an aviary that provides suitable cover and natural nesting materials are available for your birds to use. 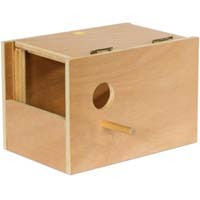 Nest boxes encourage interest and improve the chances of your birds successfully breeding even in aviary conditions. 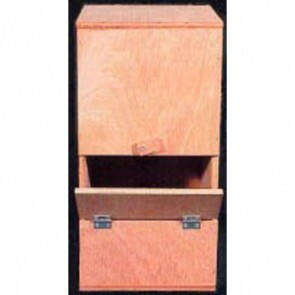 We stock a range of ply nest boxes suitable for your Budgie, Cockatiel, Parakeet & Lovebird which are ideal for both cage and aviary breeding. Bird nesting boxes: 5 stars out of 5 based on 0 user reviews.